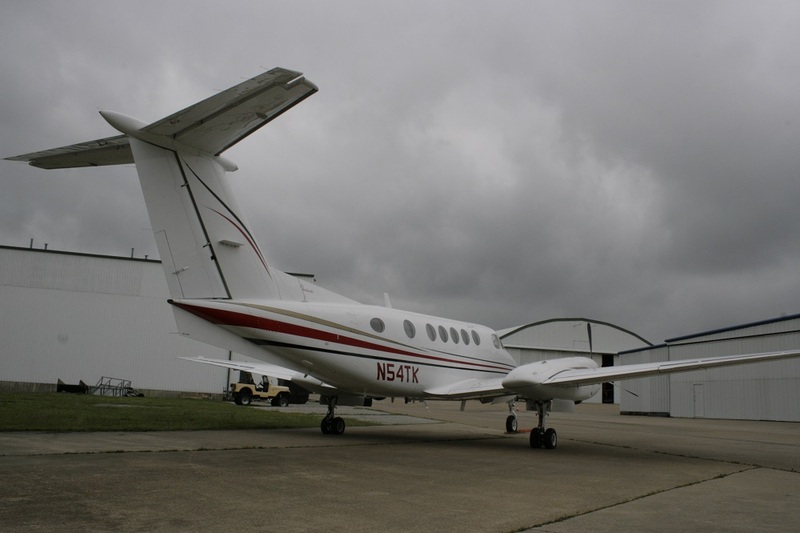 1980 Beechcraft King Air 200 - Corporate Jet Charters, Inc.
Corporate Jet Sales by Cromer Aviation exclusively introduces to the marketplace this beautiful 1980 Beechcraft King Air 200, Available for Immediate Sale. This aircraft has no damage history and excellent ownership pedigree. The exterior of the aircraft boasts a beautiful Matterhorn white base with Black Velvet, Toreador Red, and Medium Gold Metallic accent Striping. 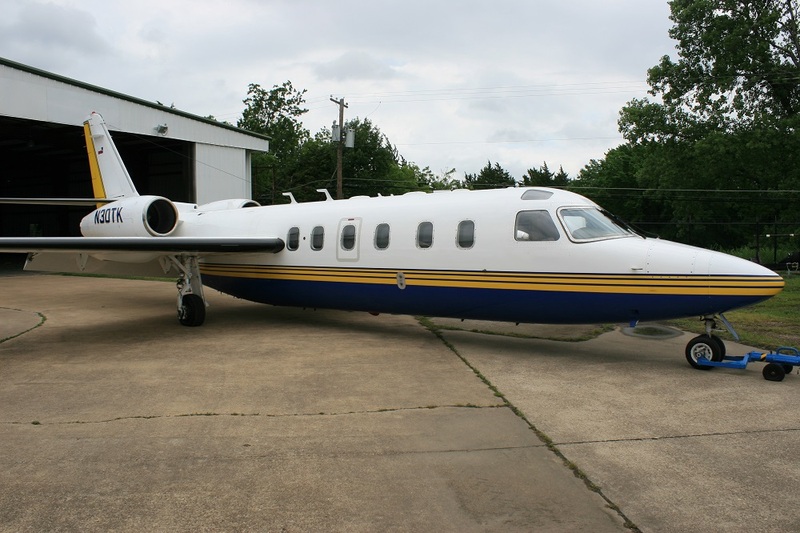 Paint completed in August 2001 and shows extremely well with no signs of weather damage, scratches, or hangar rash. This Beautiful aircraft features an executive styled seven passenger interior with five individual seats and a two person divan, all eloquently finished in high grade tan leather. There is also a belted potty across from the main cabin entry door. The cabin offers ample luggage space in the empennage of the aircraft, and the raisbeck wing lockers offer additional storage space if necessary. A high glossed light tan wood accent compliments the comfortable tan leather; offering a warm, inviting cabin space for all passengers. The cabin offers ample work space with comfortable padded fold-out tables at each single captain’s chair. 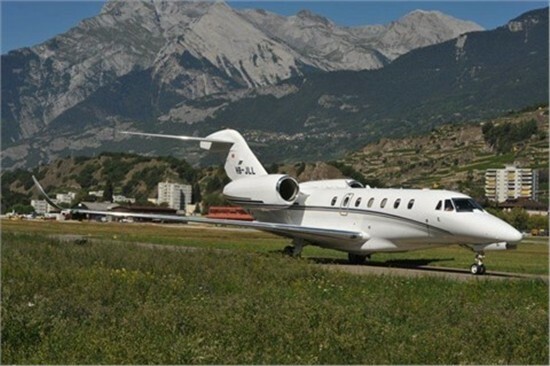 The aircraft offers new carpeting throughout, and new reupholstered seating and interior soft goods..